Mark Shand died having achieved so much. He was an incredible man. He was someone you could admire. Full of vitality wit and stories. 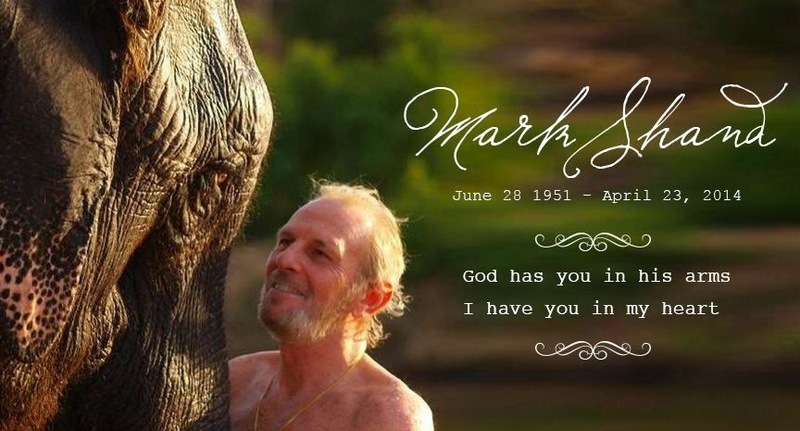 He loved elephants, his love for them brought one into my home to save the endangered Asian elephant, a white elephant by artist Marc Quinn with an Orchid on its back. It was an incredible event which everybody loved throughout London a cheerful but serious reminder that animals need land to live and breed healthily. Last year he did another gala with artists in Duchess of Cornwall's garden to save the lives of the helpless creatures in the wild. He achieved so much for wildlife and hopefully his strong character in death will continue preserving his favourite mammal. BritWeek has started with a flourish with an enormous party given in the British Consul's house here in Los Angeles. A beautiful midsummer night's dream with fairies,elves and Titania. A stunning night decorated with butterflies. Tonight proved wonderful with Shakespeare sonnets spoken by Jane Seymour, Malcolm Mcdowell, introduced by Ioan Grufford. With Sophie Winkleman, Michael York and the Millennium Consort Singers. Surrounded by a wealth of English music from the time to now, it was a magnificent night.